When Indianapolis drivers need Mazda repair, they turn to ASG Automotive. Put your mind at ease, and let our auto mechanics thoroughly and accurately inspect your Mazda. Once we identify what the issue is with your vehicle, we’ll explain the steps necessary for securing the safety of you, your passengers, and your Mazda. Because we stand behind our work, we offer a 48-month/48-mile warranty. You won’t find a better warranty in the entire Midwest. Our auto mechanics are all ASE-Certified and Bosch-Certified and use only factory-standard equipment and programming. Often, dealerships don’t even have access to this equipment. In fact, we often tackle problems other auto repair shops balked at. Our auto mechanics have earned the title of “troubleshooting mastermind,” and we work hard to maintain our reputation among Mazda drivers in Indianapolis. To put it simply, we love cars, including Mazda vehicles. We want to learn all that we can about the auto industry. On our days off, you can find us at the race track or in our garage, elbows deep in one of our cars. Nowadays, it may seem as if you have to make a choice between personable customer service and excellent auto repair. At ASG Automotive, you won’t have to compromise on convenience, transparent communication, or quality auto service. With us, you can have it all. 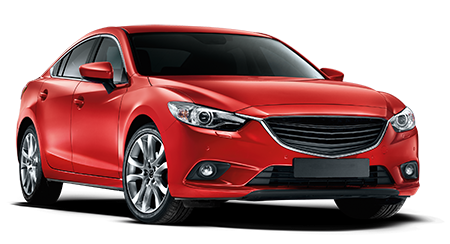 To schedule an appointment for service for Mazda repair, call us at (317) 826-2906. We are located at 5841 Thunderbird Road, Suite 3 in Indianapolis, IN 46236.